If you’re in the US and need to translate a document of any kind, you’d search in Google for something like “translation companies in USA” and probably look at the reviews each one has and go with the best one. Although that might just work, there are some other things to keep in mind when doing this. Translation companies in USA – what sets them apart? One would expect that well-known and translation companies in USA would have top-notch translators, proofreaders and other personnel. While that might be true, they might not have what you’re looking for. For instance, if you’re looking for notarized translation of your personal documents, you’ll soon find out that some of the high ranked companies do not provide that. 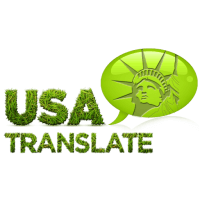 Most translation companies in USA have a niche market. Some cater only to tv or film industry, others only to technology and construction, others only to the medical field. It certainly makes sense that they are able to concentrate their database on specific fields alone. What sets some of the companies apart from ordinary translation companies is that each carries its own proprietary software, one that they have built or one they have acquired. They expanded these software to have a large repository of words and phrases that the translators can draw from for every language pair that they offer. These repositories are unlike online dictionaries. They are built from the latest slang, the things that only natives would know, and years of translating experience. The software not only aids translation and proofreading but in facilitating smoother and safer transactions with clients. Clients will not only be pleased with their speed and accuracy, but they will feel at ease with how their investment is being handled, and the non-disclosure agreements in place protect them from having their company secrets revealed to a competitor. These translation companies are also leasing out their patented software to other translation agencies. This translates to increased revenue. Another success strategy is remembering that these translation companies are just like any other company. Just like other companies they have strengthened their business in merging or acquiring, or forming alliances with other companies who can enhance their services, such as international partners. Some of them even offer shares to the public, and we know that there are strict requirements before a company can be publicly traded. When looking for translation companies in USA, it’s best to do some research before going with any of them, looks at the reviews Google is publishing, make sure they provide what you need, then pick the best.